This is a special bike, not just because it’s a limited edition, but because it is my bike. After riding and getting more comfortable with my old Suzuki GS500F for a couple of seasons, I decided to upgrade to a 600cc sport bike. 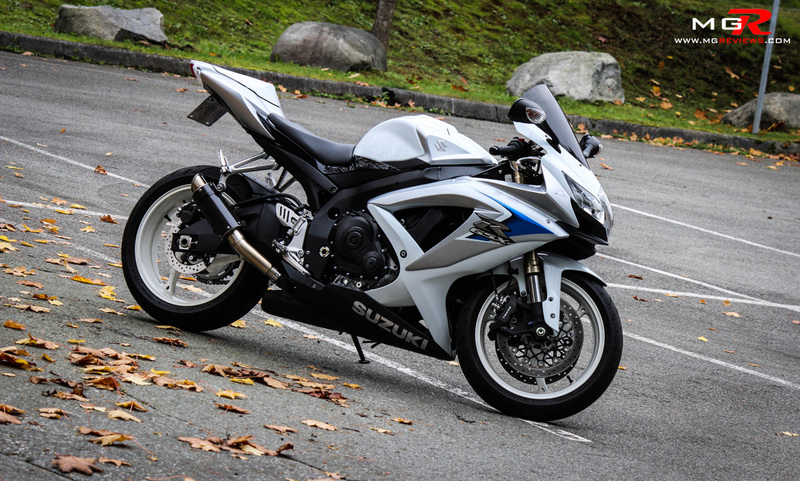 So how does the GSXR compare to its competitors and did I purchase the right bike? Short answer, yes. Long answer… yes but with a condition. 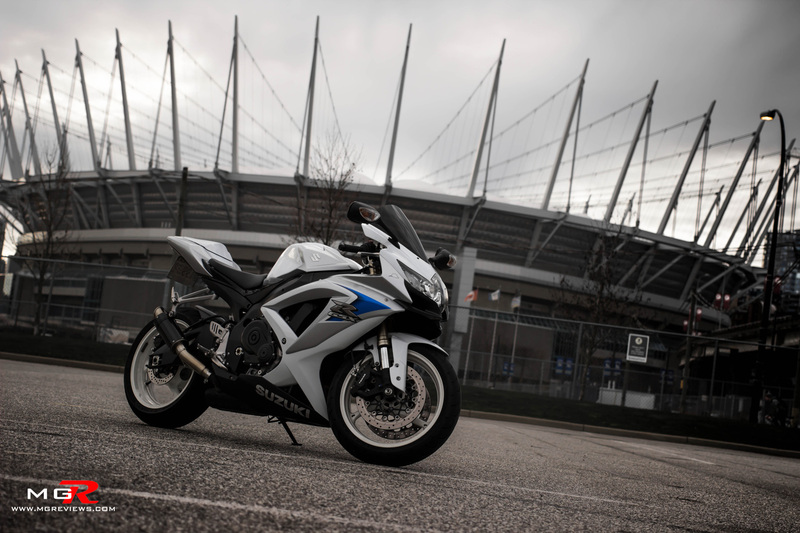 Performance – Like most other sport bikes, the GSXR is powered by a 600cc inline-4 cylinder engine producing approximately 120hp (at crank). 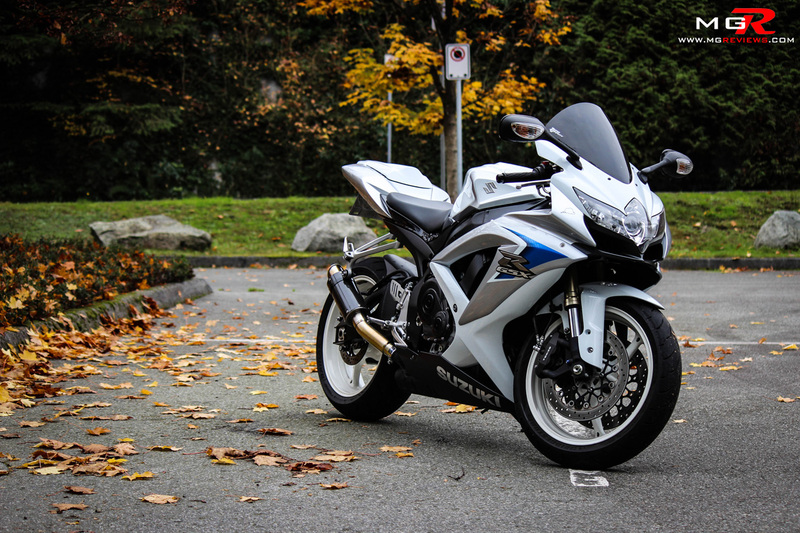 This 2008-2010 generation GSXR has had its engine tweaked to produce more torque at lower rpms as well as high power at higher rpms. It really doesn’t matter what gear you’re in or at what rpms because power is smooth and linear throughout the rev range. 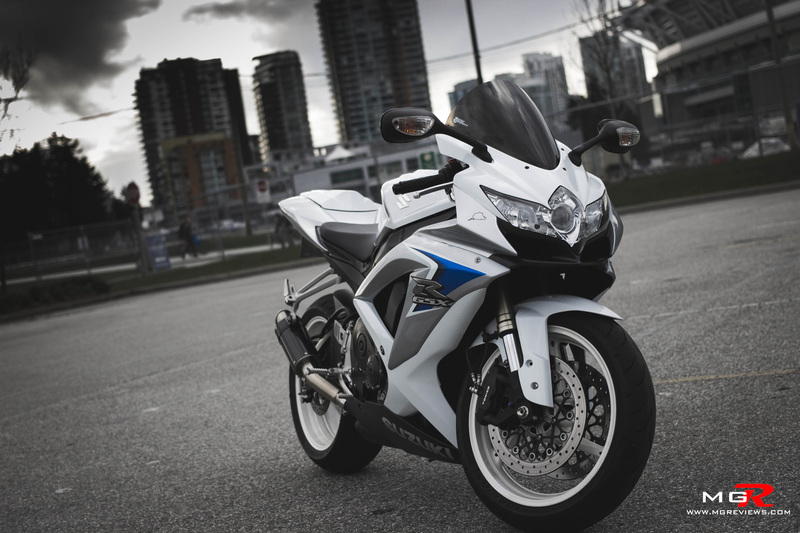 This generation also has different engine power modes that the rider can select on the move. “A-mode” is for track and racing use and it doesn’t restrict the engine at all (it is also the default setting). “B-mode” is for casual city driving and limits the engine’s power at high rpms. “C-mode” is for rain or slippery conditions and it cuts the engine’s power by nearly half throughout the entire rev range. 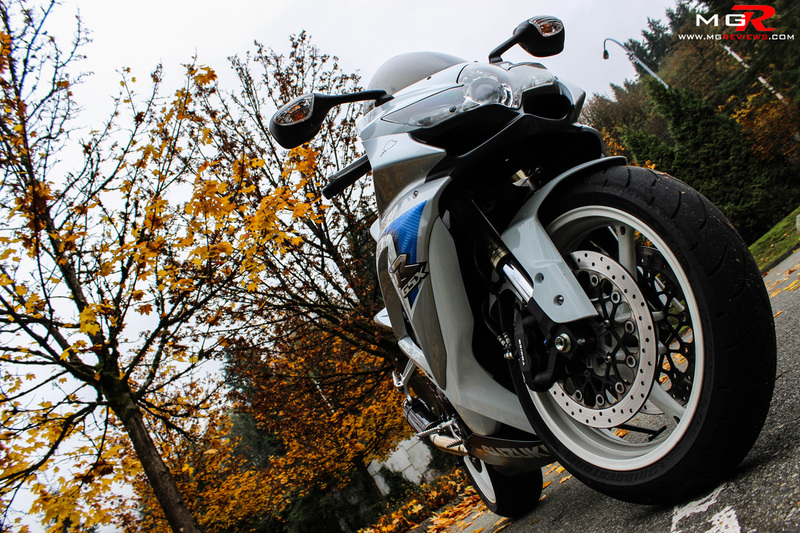 At first when I bought the bike I thought the engine drive modes were a brilliant feature but when I got caught in a rain storm, I still felt uneasy even in “C-mode” and I would have preferred if the bike had a traction control system instead. In terms of handling the bike feels very neutral and stable. It’s not quite as quick to change directions as the new 2013 Honda CBR 600RR HRC but the difference is very minimal and it would only matter on a race track. The handling characteristics of this bike inspire and give you confidence to push it hard through corners without having to worry about the front washing wide or the tail stepping out of line. The Tokico brakes have plenty of stopping power and have a great initial bite and feel. 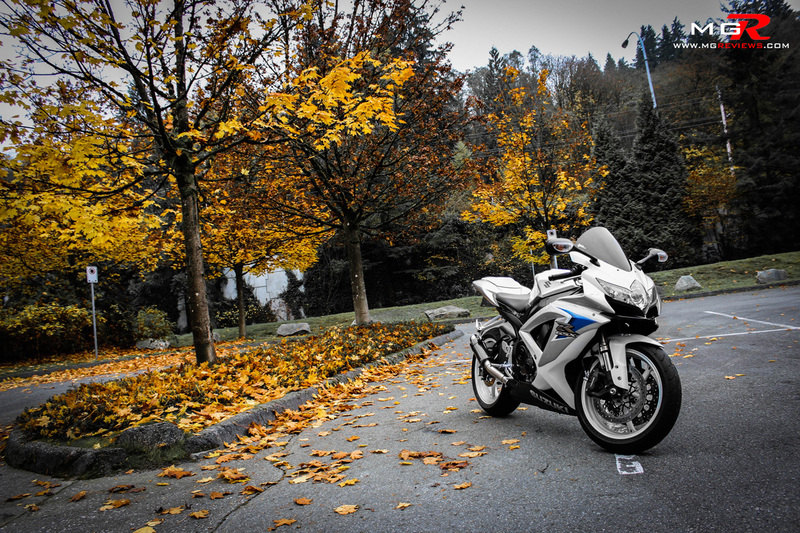 Comfort – Let’s face it, all sport bikes are uncomfortable for extended periods of time. This one is no exception to that fact. However, it is not the worst I’ve been on. The seating position is right in the middle between a low stance for racing and an upright stance for normal city riding. The suspension is not as harsh as the almost race prepped Triumph Daytona 675R but it doesn’t absorb the bumps quite as well as the Kawasaki ZX-6R can. 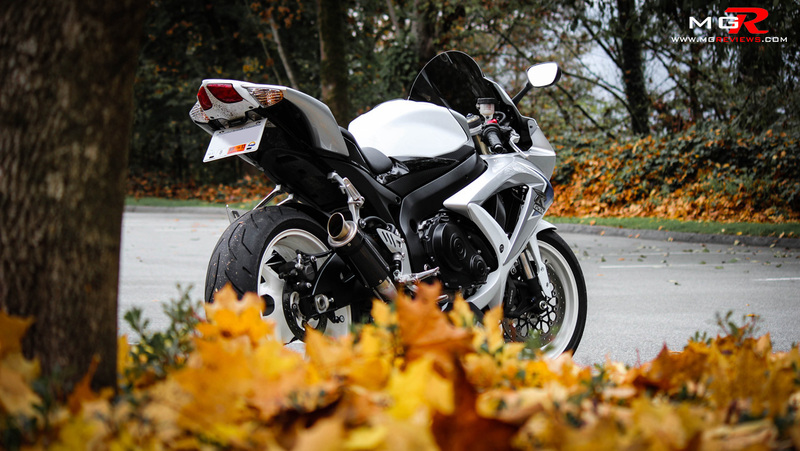 Happily the GSXR doesn’t have an undertail exhaust therefore there’s no “heated seat” feature and the fairing does provide better wind protection than other sport bikes. 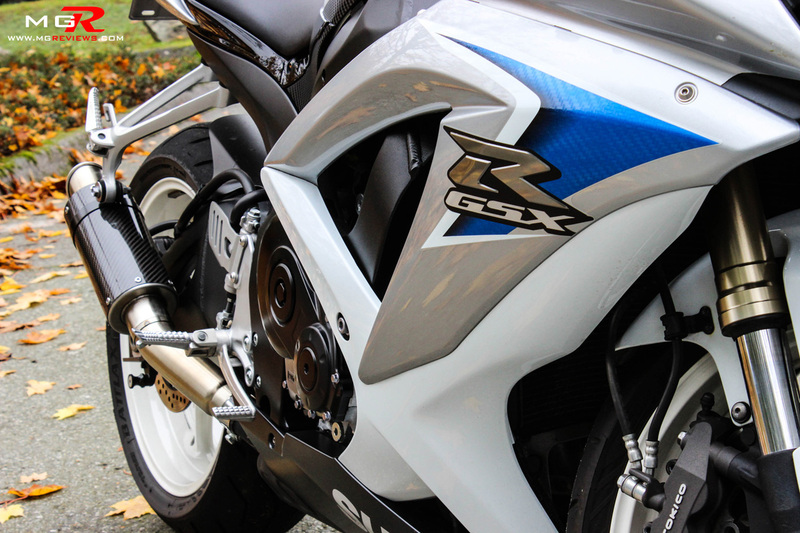 Odds and Ends – Although this 2008-2010 generation GSXR has roughly the same engine as the previous generation, the body has been completely redesigned. People have criticized its “angel wings” headlight when it was first introduced but I personally love the looks of this bike. Almost 6 years later it still looks fresh, modern, and like no other bike on the market. 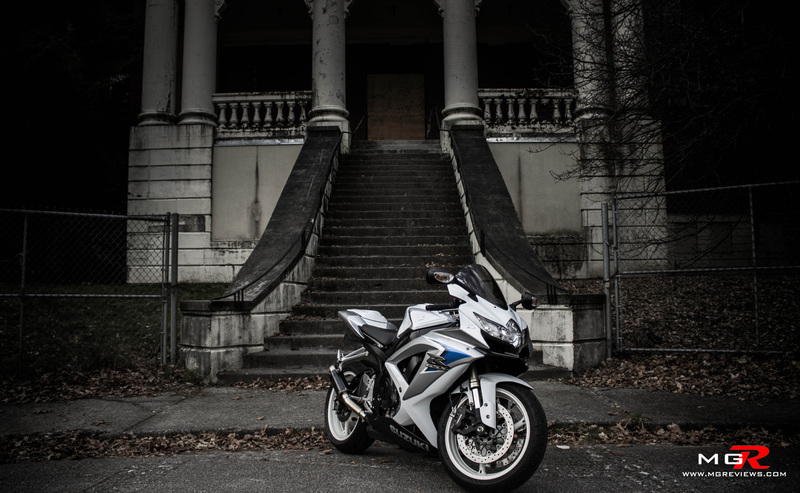 The Limited Edition refers to the all white paint scheme, there is nothing else, that I found out, that makes this bike different from other GSXR 600s from this time. One thing I can’t stand is the look of the catalytic converter. 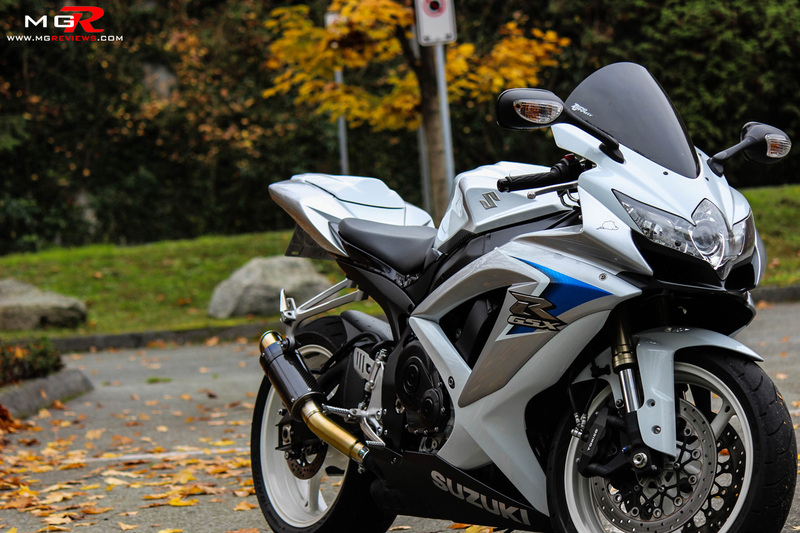 Why couldn’t Suzuki cover it with the fairings? 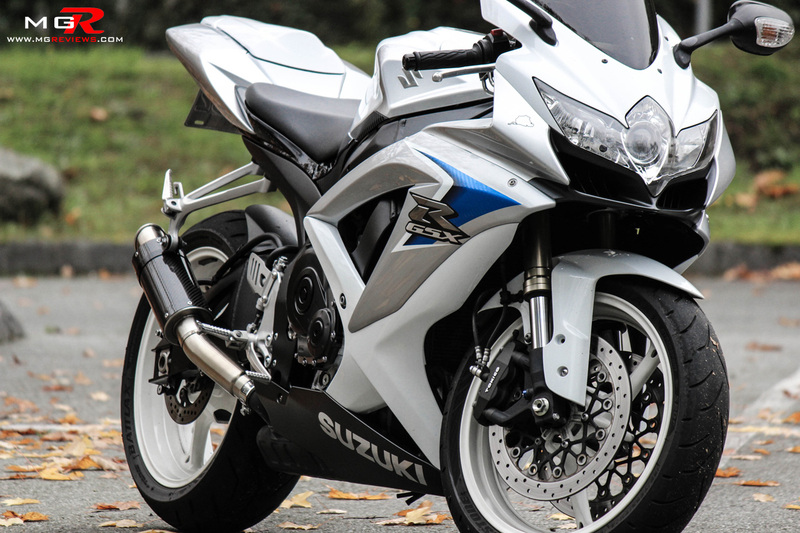 Back to the original question, how does the Suzuki GSXR 600 compare to its competition? In a lot of ways, very well. It is a perfect all-rounder bike for city commuting, canyon carving, or track racing. 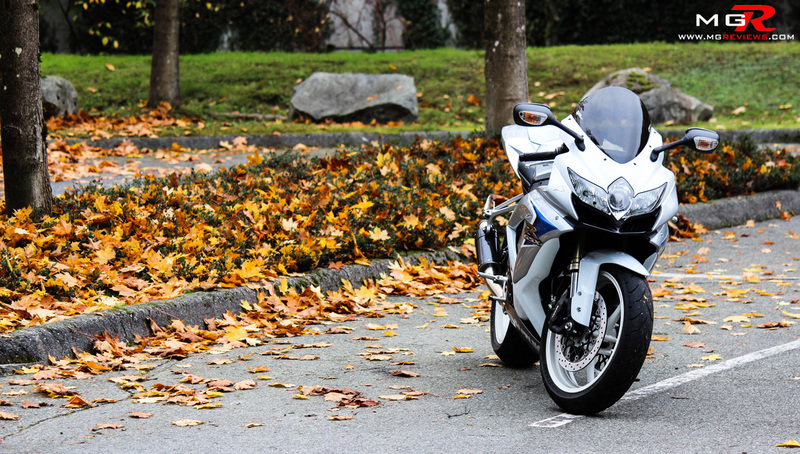 The condition that I alluded to at the beginning of this review is that if you have $13,000 to spend on a new motorcycle, I would have to recommend the new 2013 Kawasaki Ninja ZX-6R 636. 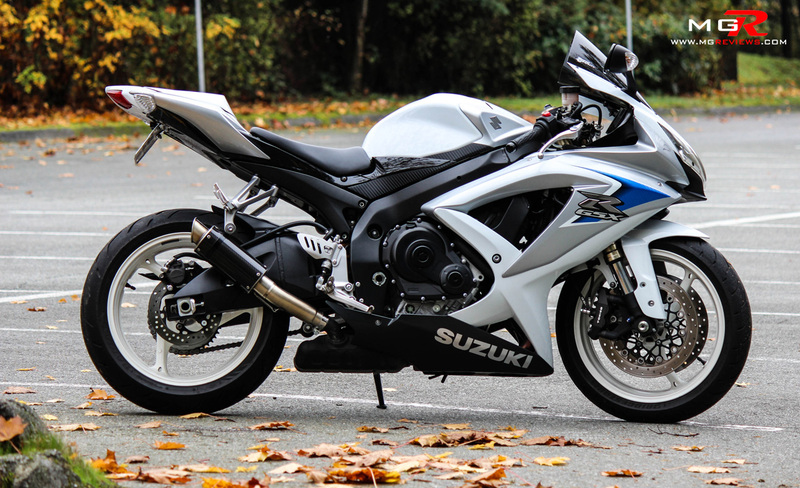 But if you don’t have that kind of money under your mattress, the Suzuki GSXR 600 is a brilliant used bike to purchase and it will not disappoint. Hi, great article! Any idea what exhaust that is? Hi, it is a Hotbodies MGP Growler slip-on. 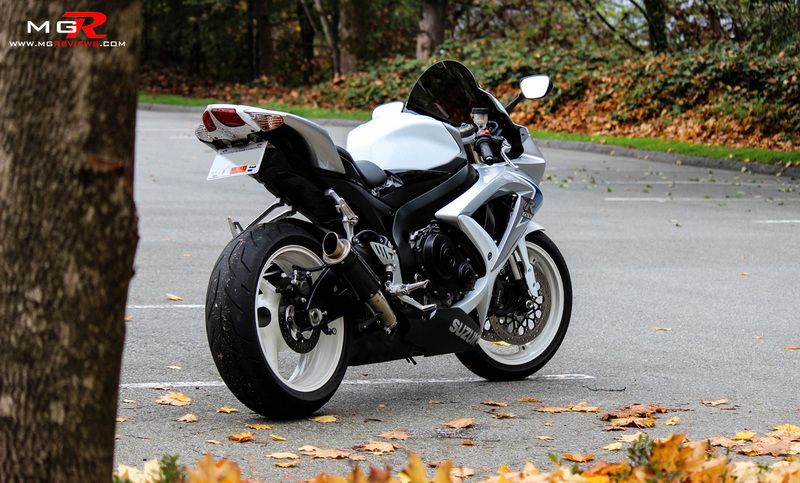 Thanks Mike – that’s the exhaust I’ve been looking at for my GSXR. Excuse me for being a bit of a thicko, but on the pics of the exhaust it comes with a stainless steel style pipes and carbon fibre end can with a red logo – how did you get it with gold pipes and without a logo? Thanks a lot! It’s not really gold, it’s stainless steel. Just looks gold in the pics I guess. And it came without any stickers on it so I just chose not to put them on. Looks better that way in my opinion.